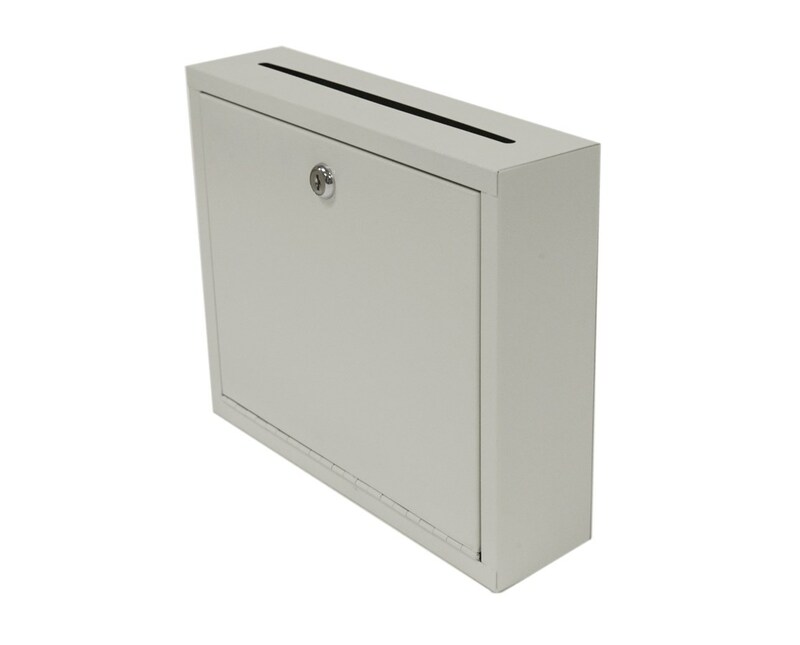 The Adir Steel Drop Box can be used as a mail collection box for all outgoing or incoming mail. 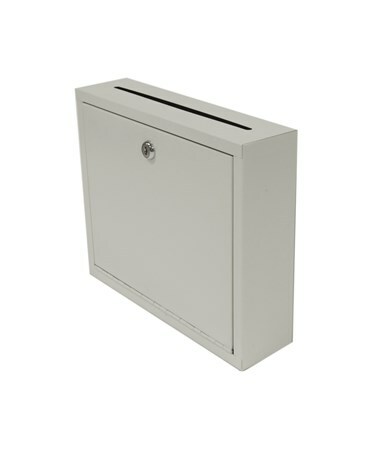 This box can also be used to keep private office correspondence confidential. It features a full piano hinged door and is constructed of durable, heavy-gauge steel with a scratch resistant finish. 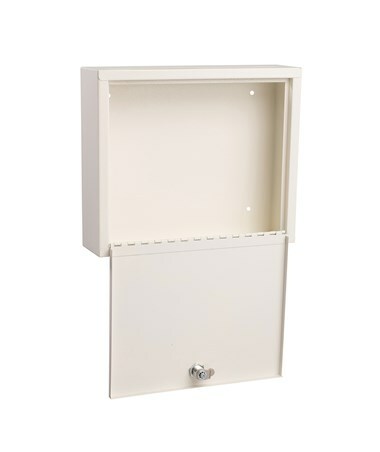 The drop slot measures 10" wide x 5/16" deep and the box measures 12"W x 3"D x 10"H. This sturdy unit can be mounted securely to any wall or door. It also includes a durable lock with two keys. 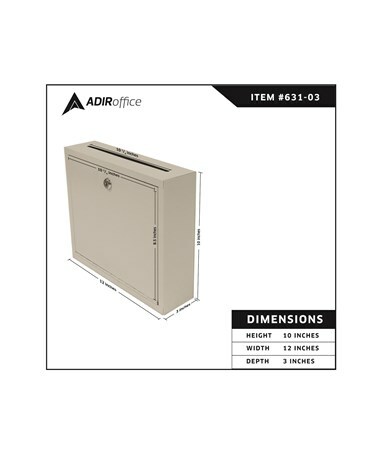 The Adir Steel Drop Box comes in six colors. Select your preference from the drop-down menu above. Outside Dimensions 10" x 12" x 3"
Slot Dimensions 10" x 5/16"